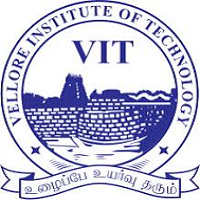 VITMEE 2019: VIT Master’s Entrance Examination is conducted for the admission to the programmes offered in M.Tech and MCA courses by Vellore Institute of Technology (VIT). Admission is granted to eligible candidates who will qualify the computer based test with high in merit. The VIT Master’s entrance exam is likely to be conducted in June for all candidates who have successfully submitted the application form. In order to fill the application form, candidates must meet the prescribed eligibility criteria for M.Tech and MCA programmes. At the time of filling the VITMEE application form candidates have to mention their educational qualification, upload the documents and photographs and pay the requisite examination fee. Selection of candidates will be done through counselling based on the rank secured in the VITMEE. Preference is given to the candidates with GATE score for M.Tech. admission. Candidates must be Indian and graduated from any Institutions in India. Candidates must have a minimum aggregate of 60% or Ist class in full-time graduation from any recognized Institute/ University. All the candidates have to submit the provisional certificate and mark sheet of their final year. Without doing so, the admission will be cancelled. MCA/B.Tech Degree in any Branch/B.E or any other equivalent degree. MechMCAatronics or any equivalent degree. Microbiology, Environmental Science, Biotechnology, Biochemistry. 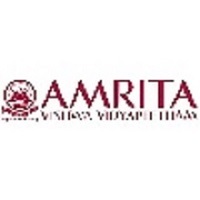 The application form of VIT Master’s Entrance Examination has been released online. In order to fill the application form, candidates have to pay the requisite application fee Rs. 1200 through net banking or online mode debit/credit card. Candidates must register by entering their name, date of birth, mobile number, gender, and email id. 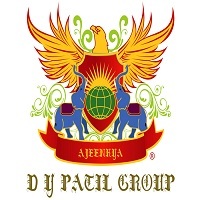 The user id and password will be generated and sent to the registered mobile number and email id. Candidates need to login through the generated id, password and enter personal details, upload scanned photograph, signature and other academic details. The applicants need to pay the fee through credit/debit card/net banking/or DD and submit the application form. To start the preparation of VIT Master’s Entrance Examination, candidates must know about the syllabus, exam pattern, the best books to prepare, time management etc. Candidates must make a proper time-table and study accordingly to score well in the exam. Here are some tips for the preparation of VITMEE. As per the exam pattern of VIT, the CBT is conducted for 2 hours in English. There are 100 multiple choice questions. The maximum marks for CBT is 100 for 100 questions out of which 20 questions are asked from English Communication while 80 from the selected technical branch by the candidate. Candidates have to download the admit card of VITMEE online after slot booking. If a candidate finds any discrepancy in the admit card, he/she can inform the Director (PG Admissions). It is mandatory for the candidates to carry their admit card on the day of examination for the verification by the invigilators. Click on the link available to download the admit card. Enter the application number and date of birth of VITMEE. VITMEE admit card will be displayed on the screen. Check the details mentioned, download it and take printout. In order to appear in VITMEE, candidates have to book slot as per the dates released by the University for booking slot time for CBT. VITMEE slot booking depends upon availability of seats and first-come-first serve basis. It might happen that a candidate do not get the slot of his/her choice because of non-availability of slots in a centre of choice. In this case he/she can book a slot in another centre of his /her choice. It is advised to the candidates to choose the booking the test slot carefully because no request for slot, test center, change of date will be entertained by the authority. The result of VITMEE 2019 will be released online. To the check the result of VITMEE candidates will have enter their application number and date of birth where they can check their rank, total marks along with the section-wise marks obtained in the examination. On the basis of the score, candidates are shortlisted or counselling and admission process. 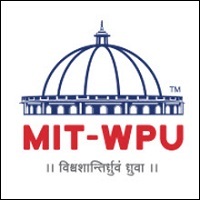 Candidates who wish to take admission into M.Tech programmes and have qualified GATE also have to appear for the VIT Master’s Entrance Examination. Candidates who are shortlisted on the basis of VITMEE computer-based test have appear in the counselling process. The selected candidates will be intimated through SMS on their registered mobile about the interview/counselling process. Candidates have to pay the requisite fee for counselling which is non- refundable. The fee paid at the time of counselling will be adjusted in the tuition fees once the candidate joins the University. If a candidate fails to pay the fee before the given time and date, the name of that candidate will be removed from the admission list. For the document, verification candidates must carry their original document as well as photocopies of all the documents. Hi, how can I crap a seat for m.sc microbiology. whether both viteee Nd vitmee are the same exams.or for m.sc which exam I want to apply. I am GATE qualified candidate. If I apply for VITMEE, am I eligible to get GATE scholarship? Your VIT Masters Entrance Examination (VITMEE) brochure has been successfully mailed to your registered email id “”.